Products marked ‘*’ were kindly sent for inclusion in this post. 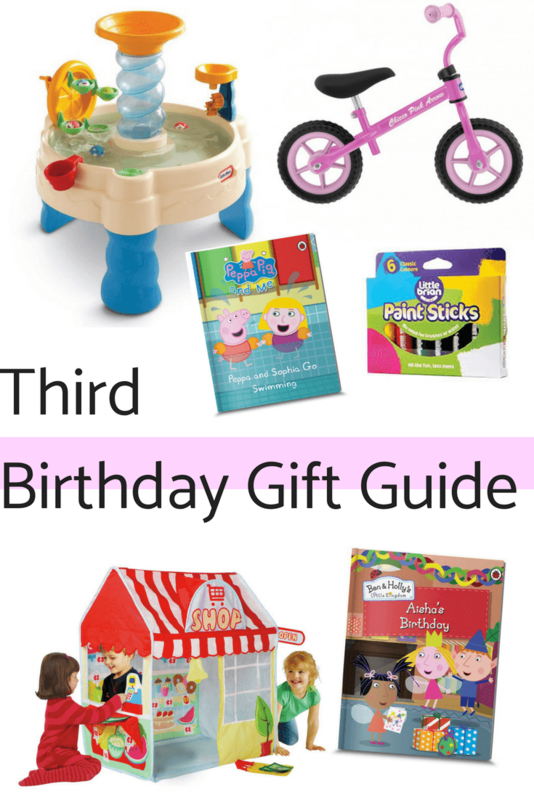 Luisa recently turned three and it was the first time I felt a bit unsure about what gifts she’d like. 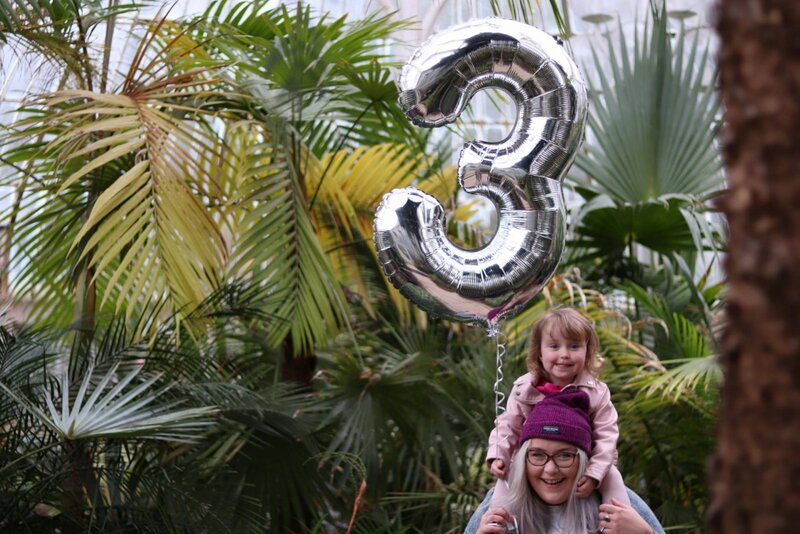 Three is kind of a big deal in my opinion, she’s not even a toddler anymore never-mind a baby! As we were both setting off into uncharted waters I spent a lot of time looking online and in shops for things she might really enjoy and that would bring plenty of fun into our lives this summer and beyond. She really loves to be outdoors and anything to do with art so if you have an active and creative little one this should be helpful. 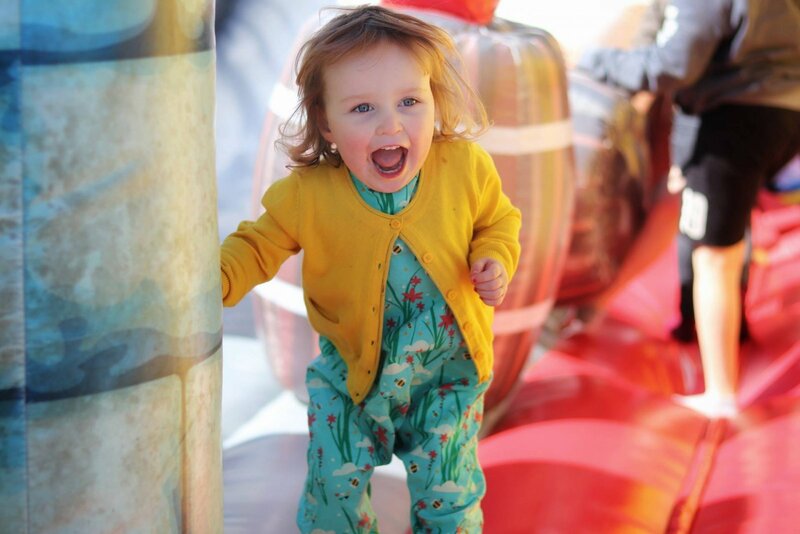 Luisa was really lucky to be spoilt by family and friends on the big day as well so i’ve included a mixture of things below that I think your almost three year old might like too. As ‘three’ feels like a bit of a right of passage I think it’s the perfect occasion to get your first bike. I decided to go for a balance bike as a lot of friends with older children told me building the foundations of balance and confidence this way helped their children progress to the real deal better. 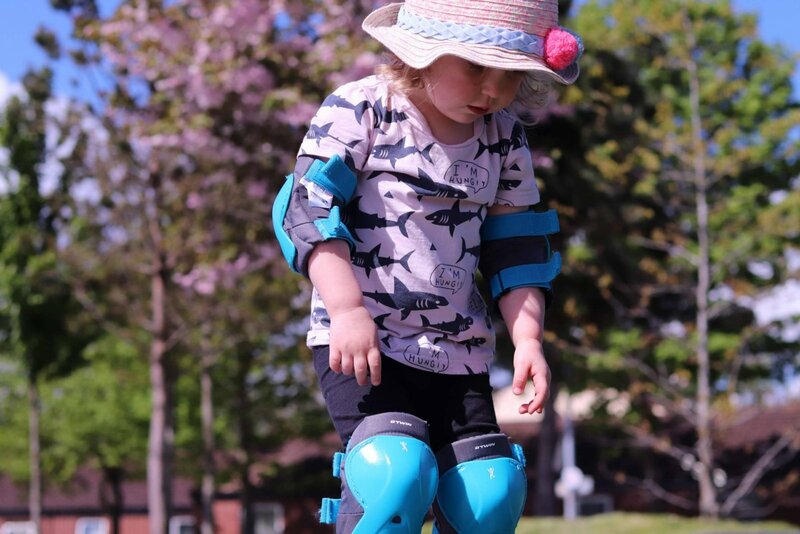 Luisa has the Chicco Arrow Balance Bike from Kiddies Kingdom* – so far it’s been fantastic for her. The seat is nicely cushioned, as are the handle bars. Both are also very easy to adjust to get the right height for your child. Luisa’s grandparents got her the most fabulous interactive water table from Little Tikes – it’s similar to this one. She’s had a lot of fun figuring out all the different ways to play with it and (of course) soaking me at every opportunity. We’ve had it set up for about three weeks now and it’s been used most days. I can see it being something she’ll love for years as splashing around never get’s old does it? Other fun and affordable outdoor toys are this play shop tent, a bubble machine or a ball pit. I’ve mentioned a few times that Luisa loves to do anything creative – especially if it involves cutting or painting. For her birthday I made sure to get some more of our favourite paint sticks from Little Brian. If you haven’t heard of these before I can’t reccomend them enough, we always repurchase them as they make painting fun and almost mess free. Sticking with the paint theme Luisa really loves this little finger painting set* – it’s all contained within a pencil case sized tin so perfect for rainy days, quiet time or even when travelling. I really like the fact that it comes with an activity book and stampers – it’s really versatile. Over Easter Lu and I went to a really good art class with my mum, she noticed the felt tips were amazingly vibrant and really easy for Lu to use. Of course she has the most incredible memory and got her a bunch of stuff from the brand Giotto – they sell it at The Range along with more craft supplies than we can shake a stick at. If you have a creative child to buy a gift for you’ll not go wrong with playdoh, new pens or crayons, sticker books and little craft kits. They’re so affordable from places like Flying Tiger or Hobbycraft. Luisa and I both love books, she has a tonne but new ones are always welcome. I ordered a few Daniel Tiger board books from Amazon as you know she loves him and I love the ‘lessons’. I wondered if maybe she was a bit old for board books but I’ve decided she’s not – they’re so practical and durable and they’re here to stay. Lu also really likes the personalised Ben & Holly birthday party story we were sent by Penwizard*. You can choose from lot of different stories featuring your child alongside their favourite characters. I really like hoe much you can customise the appearance so they really do look like your kiddo. They also create brilliant books for Father’s Day, Christmas, Potty training and more. For more ‘prechooler’ book recommendations check out my Pinterest board.